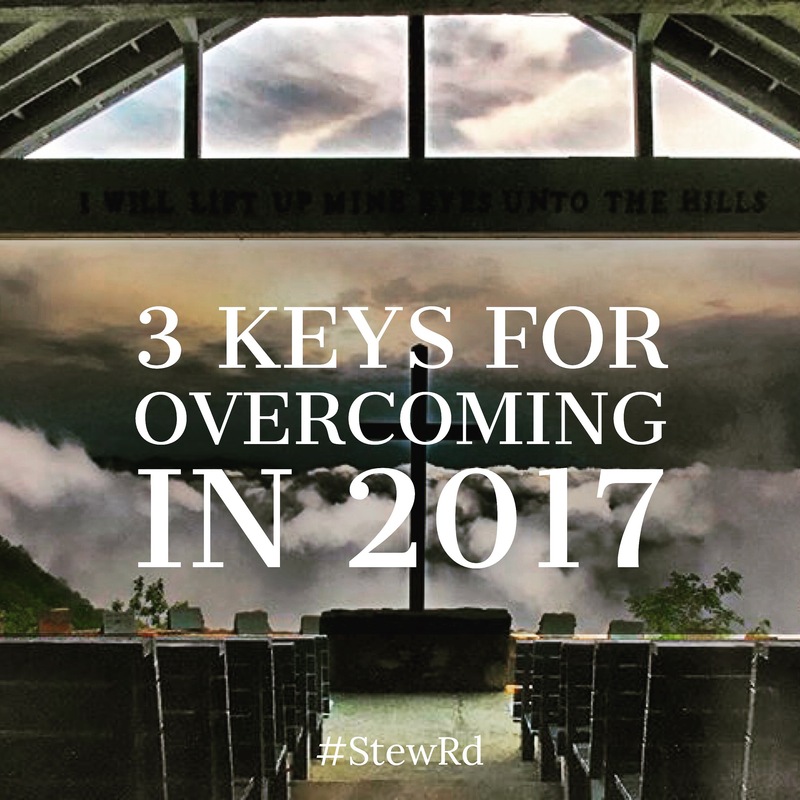 3 Keys To Overcoming in 2017 – Stew Rd. I love the new year. It represents a time of fresh vision and grace to begin again. Just like His mercies are new every morning, the new year is a time to take hold of and experience new mercies from the Father and to realign with His purposes. What is Father speaking to you about your life and mission for 2017? I have some things I believe He has said to me, personally, and for my family that I am very excited about for this season. Vision is powerful and necessary to keep us focused through opposition and distractions. 1. His Kingdom come and will be done in our lives, homes, work, church, etc. (Matthew 6:10) What does that mean? His reality – His reality and our reality are often two very different things. He is bringing our reality to more align with His if we allow it. His rule – Fear, doubt, discord, worry or lack have no place of rule in his kingdom. His vision – We see what he sees and experience what he experiences. 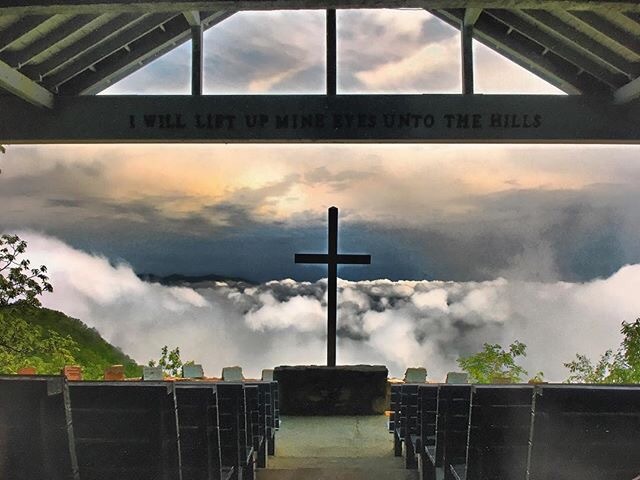 His will – what is His will for you? His desire is sozo (1 Cor. 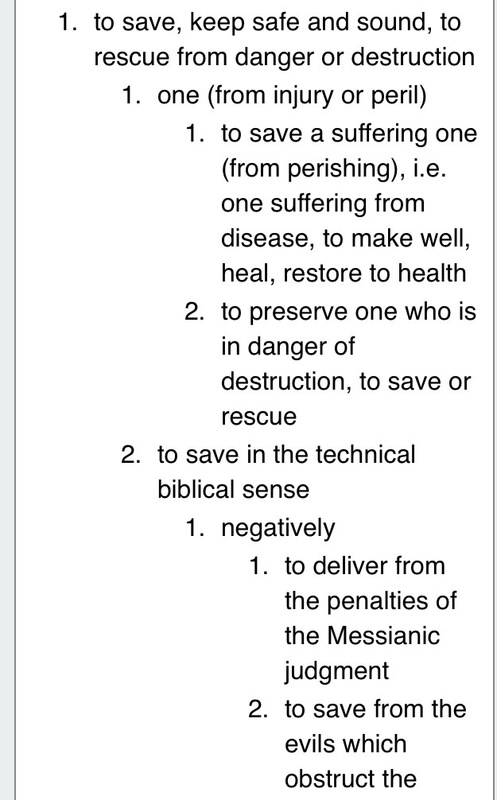 1:18 “message of cross foolishness but to those being saved” Greek word for salvation meaning to save, heal, deliver and prosper) for His people! If His kingdom and His will are to be advanced in our lives this year, it means we will be coming against any foe that has had a place of dominion in our life. Giants are the big foes that have kept us from possessing promised lands in our lives. If we are facing giants, it mean we are stepping into our land of promise. David first defeated Goliath (1 Samuel 17) by fear of the Lord and individual faith (perfect love casting out all other fear). His love and honor for the Father produced a bold faith. Weakness = An invitation to True strength instead of the false sense of security in my limited humanity. When we are afraid and overwhelmed it is because we are because we are alone. 2017 is a year that no one fights alone. We will continue to fight the same battles over and over again alone or we will find those we are called to partner with in the kingdom (family, friends) and we will join and overcome the obstacles in our way. If these resonate with you, take these points and pray for each of them to be active in your life and your family this year. I believe they will be a help to you and I pray grace for you to embrace and experience all He has for you in 2017! Pingback: Dream pt 3: To Love With All Your Mind – Stew Rd. Pingback: Stop Fighting Alone – Stew Rd. Pingback: The Fury of Curry… . and Bob the Baller – Stew Rd.